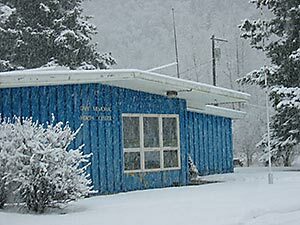 The Dahl Memorial Clinic is owned and operated by the City of Skagway. The clinic is the only heath care provider in Skagway servicing the primary as well as urgent care needs of the community. Although Skagway is a small town of only 870 year round residents, our clinic must also be equipped to handle the approximate 1,500 seasonal residents who live here during the summer months and the 900,000 visitors from all over the world who come to Skagway each year. Skagway is a federally designated Medically Underserved Area and a Health Professional Shortage Area. Geographic isolation and weather create an exceptional need for community-based comprehensive health services since the closest hospital in the United States is a 45 minute flight from Skagway. The clinic is overseen by an administrator and staffed by two mid level providers � a nurse practitioner and a physician�s assistant � along with support staff. All are very dedicated to this clinic and to serving this wonderful community. The 4,000 square foot clinic houses the above staff as well as a counselor, itinerant doctors, dentist and the public health nurse. The existing health clinic was built over 35 years ago and is unable to meet either current or future needs of Skagway. It is not compliant with ADA-Title III or current building codes. Its medical and diagnostic equipment is outdated. A code and condition survey found clinic replacement more cost-effective and appropriate than repair and renovation. To that end, the clinic board and staff are working towards replacing this outdated facility with a new health care building and hope to break ground within the next two years. Buckwheat is walking for a great cause. The Dahl Memorial Clinic board of directors is thrilled that Buckwheat choose to raise funds for the clinic. We applaud his endeavor and his determination to help the community of Skagway. Thank you Buckwheat and keep on howling! a serious condition that required a patient to be medivaced. We�d like to thank Buckwheat for his amazing generosity. When an important piece of equipment at the clinic broke last month, we looked to Buckwheat for help. 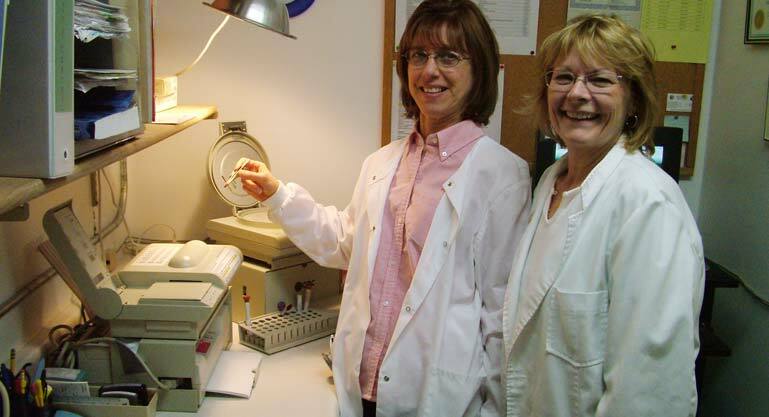 Buckwheat gave the clinic $7,000 to replace the QBC machine � an important blood screening machine used daily at the clinic. As most of you know Buckwheat is on his year-long �Heartbeat Trail� walk to raise money for the Dahl Memorial Clinic. Thank you Buckwheat for doing this amazing journey to help improve medical services in Skagway! We truly appreciate your generosity!